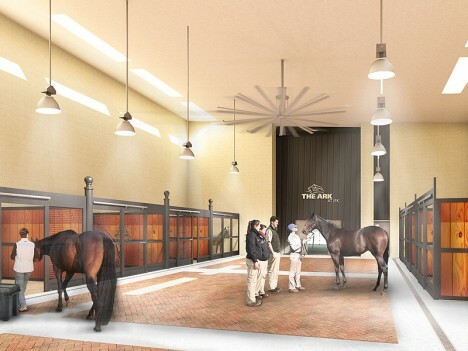 Swimming pools, private suites, flat-screen televisions, medical facilities and luxury lounges – all these amenities cannot be yours, but can be enjoyed by your pets (or pigs or horses) at the new AFK airport terminal just for animals. 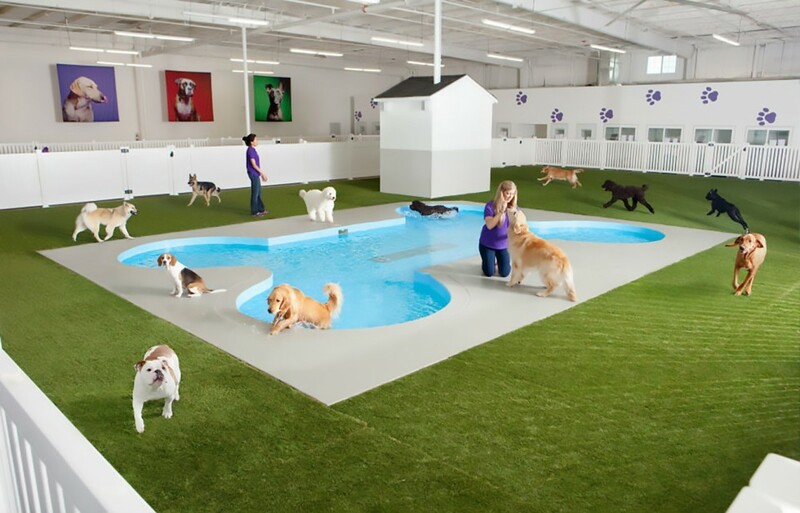 Your best (canine) friend can enjoy more comforts than you can imagine, including pawdicures, massage therapy and even a swimming pool shaped like a dog bone, while you close feline companion climbs through dedicated jungle gyms or cat TV. 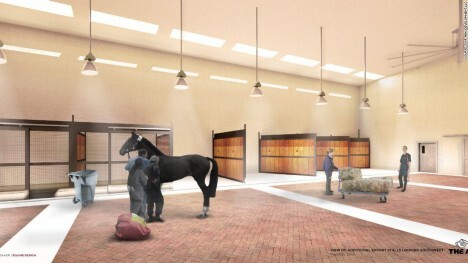 Horses will enjoy food, water and rest while basking in daylit stalls that can be individually climate-controlled. You can also watch (and envy) your critters, large or small, via remote webcams on demand. 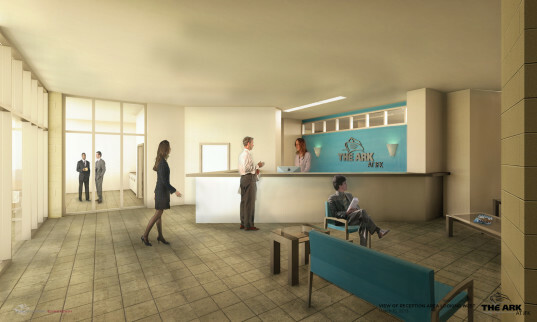 All animals have access to a veterinary hospital equipped for general health, emergency care, advanced diagnostics and with surgery suites, providing healthcare but also helping to streamline checks and certifications required for overseas travel. 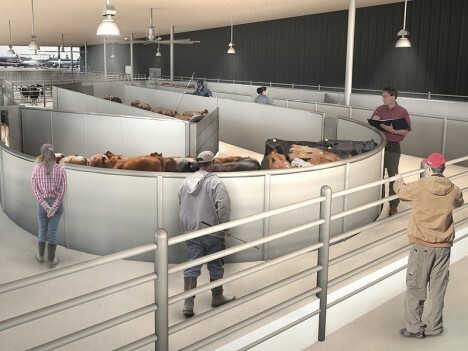 The ARK will replace VetPort, a small 10,000-square-foot onsite facility (effectively a glorified kennel) with meager amenities that still requires a separate offsite quarantine system located miles away. 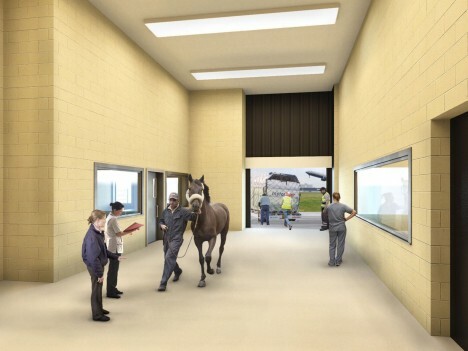 If this sounds like a luxury affair from a front-of-house perspective, consider all of the work architecture firm Gensler has put in to make the place function, like cleaning up 5,000 pounds of waste produced by up to 180 head of cattle per day. Clever architectural solutions are needed to deal with the sheer volume of animals passing through as well as their species-specific needs.